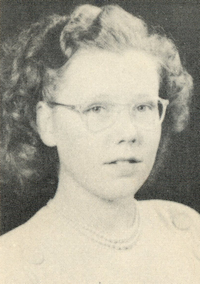 Obituary – Oldehoeft, Mary Jean (Beadle) « Perry High School Alumni Association, Inc.
Home Room Secretary ’46-’47. Office Staff ’46-’47; Y-Teens ’46’48; Courtesy Guide ’47-’48; Perryscope Staff ’48-’49. ﻿Mrs. Mary Jean Oldehoeft, 29, daughter of Mrs. Louis Beadle, 1002 Fifth street, died at 7:45 a.m. Thursday in Penrose hospital, Colorado Springs, Colo., where she had been a patient three weeks. Final rites win be in Perry, but arrangements had not been completed Thursday. Parker funeral home will announce services. Mrs. Oldehoeft and her husband, Roy, who survives, left here in August 1959 for Colorado Springs, where he is a teacher in the city school system. 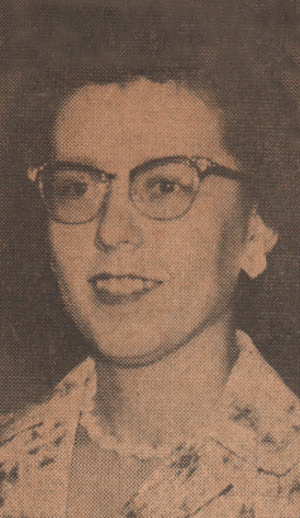 She was born Aug. 23, 1931, in Hennessey, and came to Noble county with her parents in 1937. She was a member of Christ Lutheran church. Before the couple moved to Colorado Springs, she had been employed several years as a secretary in a city insurance and real estate office. Mr. and Mrs. Oldehoeft were married in 1952 in Perry. In addition to her husband and mother, survivors include two sisters, Mrs. Francis Poling, Midwest City; and Mrs. Robert Steichen, Tonkawa.